Wrestlemania is WWE&apos;s flagship event and returns for the 35th time this weekend. The event will be held in the state of New Jersey for the first time since 2013, at the 82,550 capacity MetLife Stadium, the home ground of the New York Giants and New York Jets. As usual there is going to be plenty of razzmatazz, with SNL comedians Colin Jost and Michael Che set to be special correspondents for the event, while eighties rock star Joan Jett will perform her song &apos;Bad Reputation&apos; live for Ronda Rousey&apos;s ring entrance. The Pro Bowl has long been considered a laughable representation of the NFL game. 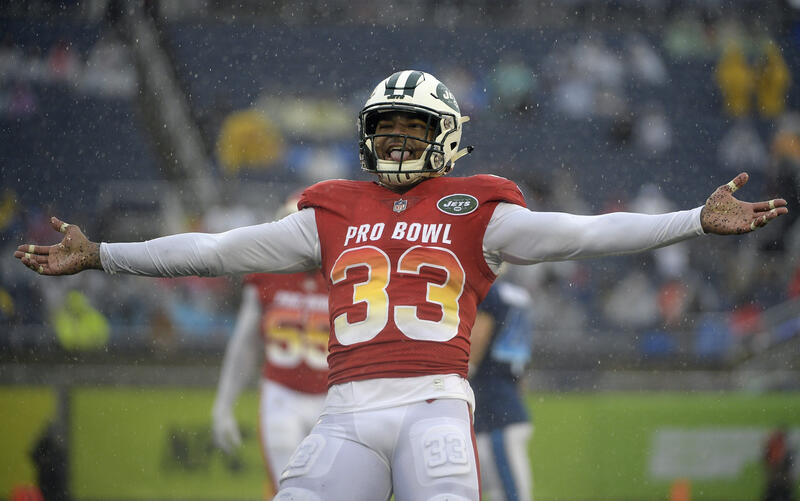 Jacksonville Jaguars cornerback Jalen Ramsey caught a touchdown pass in the final minute, capping a dominant performance for the AFC defense in a 26-7 victory over the NFC in steady rain. It was the third consecutive victory for the AFC, all of them at Camping World Stadium. Tom Brady, Patriots, threw for three first-half touchdowns - four overall - and New England clinched its ninth straight first-round bye in the playoffs with a 38-3 win over the New York Jets. Jared Goff, Rams, had four touchdown passes to help Los Angeles secure a first-round playoff bye with a 48-32 victory over San Francisco. Matt Ryan, Falcons, had his first career reception for a touchdown and also threw for 378 yards and two TDs to help Atlanta top Tampa Bay 34-32. When the Buffalo Bills and New York Jets matched up in Week 10, the starting quarterbacks were Matt Barkley and Josh McCown. This time around, the all-journeyman affair is out and will likely feature the first matchup between first-round picks Josh Allen and Sam Darnold. Allen is a go for Sunday&apos;s contest in Orchard Park, N.Y., while Darnold is expected to be cleared prior to kickoff as the Jets (3-9) aim to snap a six-game losing streak when they visit the Bills (4-8). Quarterback Davis Webb, released by the New York Giants, was signed to the practice squad of the New York Jets on Tuesday. Webb will be paid a full salary as if he were on the 53-man roster, NFL Network reported. Quarterback John Wofford was released from the practice squad to make room for Webb, who was cut by the Giants in favor of rookie Kyle Lauletta and Alex Tanney.